Several French cities have put partial protest bans in place as Yellow Vest demonstrators gather for the 20th week in a row. Clashes were reported Saturday in Avignon between police and protesters who ignored a city-wide ban. The Vaucluse police chief Bertrand Gaume said it was forbidden for Yellow Vest groups to protest in the inner city areas of Avignon, and on the outskirts of the city on Saturday. At a press conference he also said the central train and bus station in Avignon would remain closed all Saturday, until Sunday morning. Tension was high at the beginning of the afternoon, as state media France Bleu reported that police had attempted to push back 200 people who had gathered at Place de l'Horloge, in an area where protests had been banned. Some protesters had been told by organisers not to wear their yellow vests to avoid being detected by police. 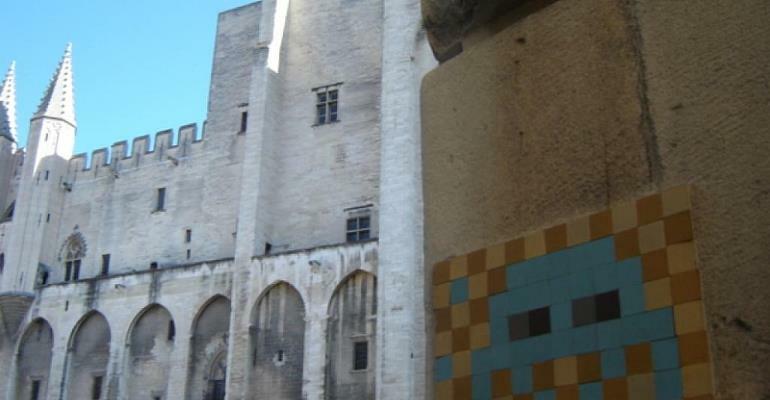 Earlier in the day, Le Parisien newspaper reported that police in Avignon had intercepted people carrying hammers, knives and metal bars. Meanwhile, police put up barriers at the entry points to the old city, with residents being asked for proof of their address and to undergo bag checks. Elsewhere, Bordeaux, one of the bastions of the movement, has also put in place tougher security measures this weekend. The city has seen repeated rioting and destruction of property during the last four-months. The centre-right mayor Nicolas Florian, said he was "very worried" about this weekend's edition, and as a result, the police headquarters have declared a large part of the south-western city centre off-limits to the protesters. "I'm asking shop owners to lower their shutters for protection and I'm asking the people of Bordeaux to stay home to allow the police do their work and not risk any accident," Florian told reporters. In Paris, too, the authorities banned demonstrations on the Champs-Elysees and in the vicinity of the presidential palace and National Assembly for a second week running. Public broadcaster France Info reported that police had already given fines to around 20 people caught inside the banned area by mid afternoon on Saturday and that over 8,000 people had passed through security checks throughout the day. Partial bans have also been proclaimed in Rouen in the north, Avignon in the south-east and Toulouse in the south-west.